Freedom Leisure are very pleased to offer free swimming for those aged 75 and over at Splash Leisure Pool. It’s never too late to start your swimming journey whether you are at the beginning of your journey learning to swim for the first time or looking to improve your technique and skills. 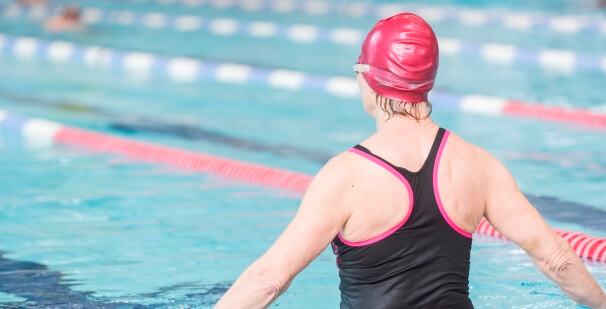 We understand the importance of swimming to health and mobility, so this is why we are offering unlimited access to the swimming pool at Splash to all aged 75 and over. There is a small set up fee of £10 but this will give unlimited swimming for 12 months. We do ask that everyone registers for free swimming prior to their first free swim. Click on the link below and you'll open the over 75's registration form, then print, complete and bring it into Splash Leisure Pool. We will then be able to issue you with your unlimited swimming membership card. Please note that proof of age may be required in order for the membership to be activated.